Upcoming Free Kindle E-book Starts tomorrow!!! My Volume Two of “Art! Art! Art! Before Words.” by Emily Sturgill (Jan 2014) will be available starting tomorrow August 6-August 10th as a free kindle download. 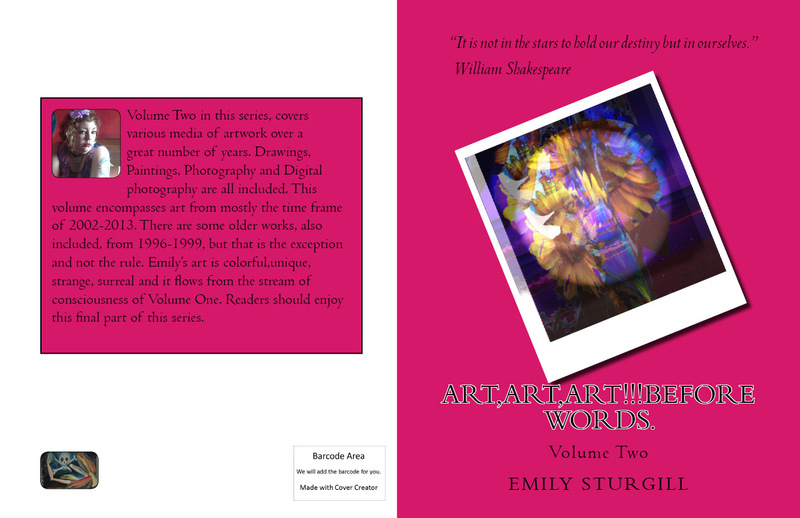 If “Art, Art, Art Before Words: Volume Two” was an oversized hardback, it would be considered a “coffee table book”. This slim striking colorful volume is a delight to the senses! With only one poem, a condensed autobiography, and over 40 images this is a very quick read; this chapbook continues where “Art, Art, Art Before Words: Volume One” left off. 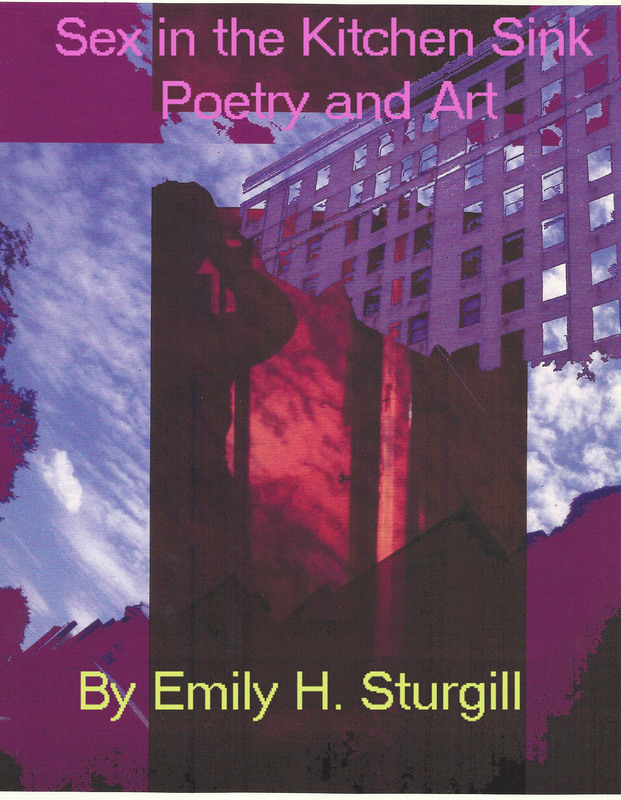 Artist/poetess Emily Sturgill recalls her experience of attending college and completing her education with a serious mental illness (SMI). A brief chronological outline shows her milestones and academic accomplishments. With her husband Dean encouraging her, she graduated with a masters of education in art education and therapy from Wayne State University, Detroit, MI. in 2012. 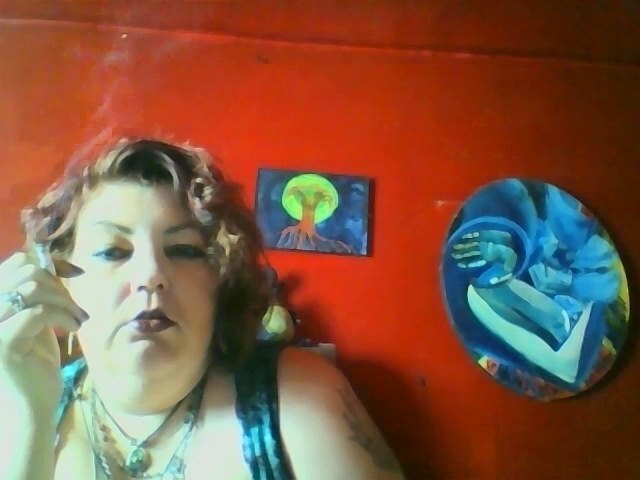 Ms. Sturgill lives in the suburbs outside Detroit with her husband and pets. The poem: “Painting With Fire” is a joyful expression of creativity, beginning with a hearts desire. The rotation of the nightfall, shooting stars, passion and love, the dawn inviting a new day. Shakespeare is quoted from ‘Romeo and Juliet’ and ‘Hamlet’. Detroit Landscape: photography.. 2002 ~ Building #3: photography.. 2002 ~ Church: photography.. 2002 ~ Dream: drawing/mixed media.. 1999 ~ Anger: pen/ink drawing.. 1996 ~ Funky Town: photography.. 2002 ~ Goddess: photography/montage.. 2002 ~ Self Portrait: photography/mixed media.. 2002 ~ Flat Planet June: photography/montage.. 2002 ~ Digital Goddess Montage: photography.. 2002 ~ Self Portraits: webcam.. 2014. Many thanks, and much appreciation to Emily Sturgill for the paperback edition to this beautiful chapbook. I recommend viewing these artist chapbooks on color e-readers for better clarity of the images. I really enjoy Ms. Sturgill’s artwork. She is a gifted writer as well and I enjoy her poetry books tremendously but it is also nice to view her personal art, some of which she shares in this book. I think readers will enjoy the art and text. I’m a fan of Ms. Sturgill’s work. I was pleased to have a careful look at Art, Art Art!!! Before Words. I recommend it to other readers, particularly art fans. *****Note I do have many other upcoming promotions coming up so check back often-I know I just set three more e-books onto free promo for the kindle starting August 9-August 13,2014. This is my very first self-published e-book of poetry & art. It was published in Jan 2013. Starting tomorrow it will be a kindle countdown deal and be only just 99 cents to buy. I think I may have arranged to keep it at 99 cents the entire kindle countdown-but I cannot guarantee because I actually do not recall. it might surprise you. Sometimes it is overwhelmingly Large, Black, and Evil. You can recognize it by it’s shape of jagged, broken and mean edges. may shock and surprise you. among a loved ones face. into the agony of un-relentless “grace”. into the bare bones of what you believed them to be. It is the reality of you verses me. It is the ignorance and confusion in your eyes. it is the question on your lips-? She must BE: C-R-A-Z-Y. because she is different than me. Stigma comes in all shapes and sizes. Some folks cannot possibly understand. the way aspirin “cures” a headache. i really no longer care. You will never understand that my life has daily struggles. label me broken, label me inferior, label me crazy. loved and knew me…but no. on me, the moment I fell. Join me at an Artist Talk & Art-Therapy Workshop at the Art Experience in Pontiac Mich. Tickets are only $20. The deadline to register is July 25, 2013. The topic will be on Recovery in Mental Health through art-making. I have built of an insane asylum-inside my head. Then there is the “other”- “Real World”. Somedays, I get lost in the translation. the world of reality foolish and blindly. out of whack and crazy. It’s not an episode-rather a symptom.